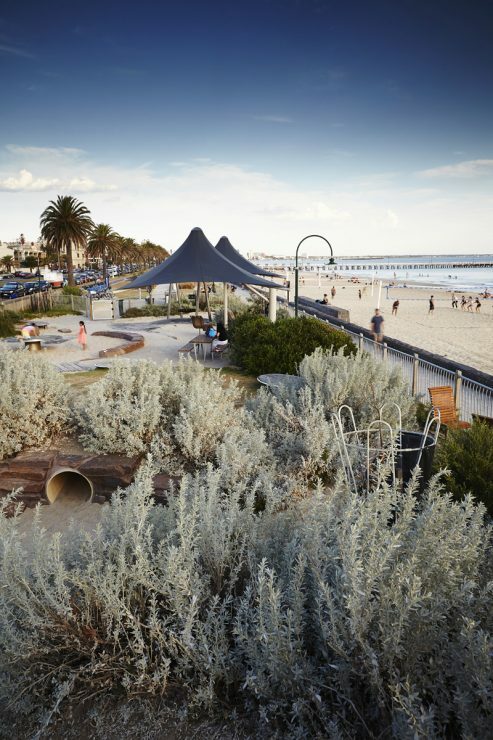 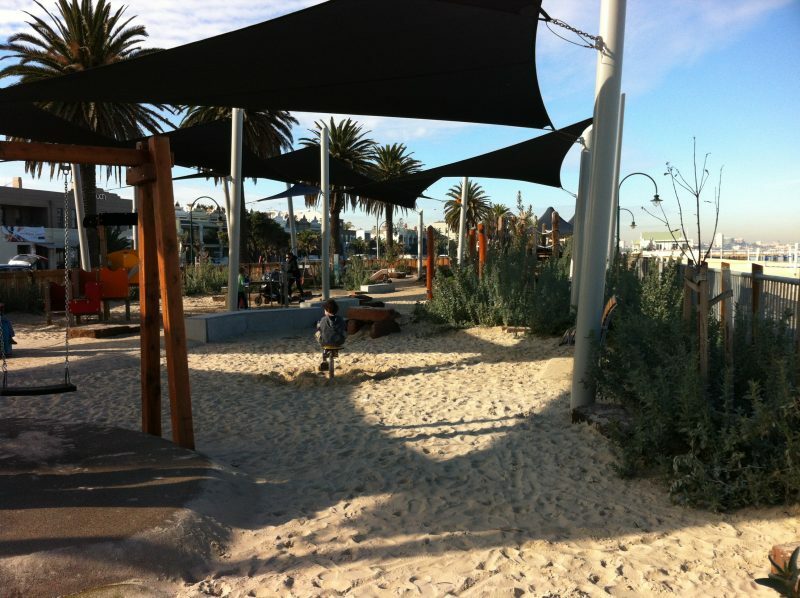 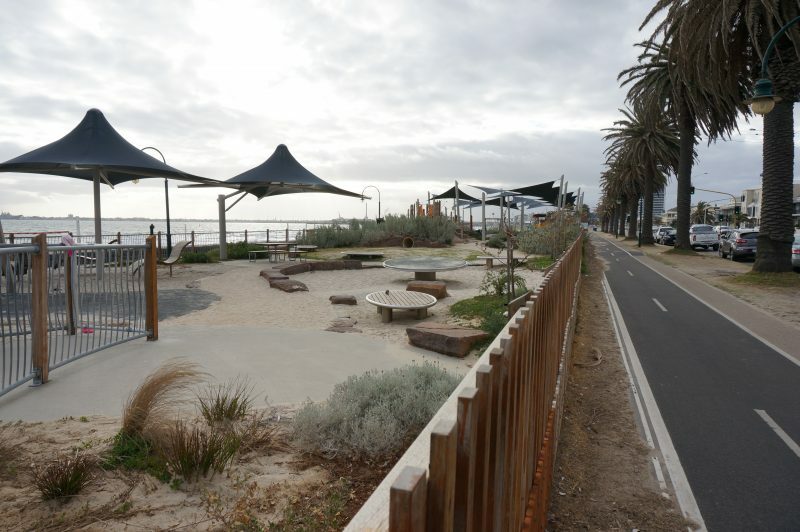 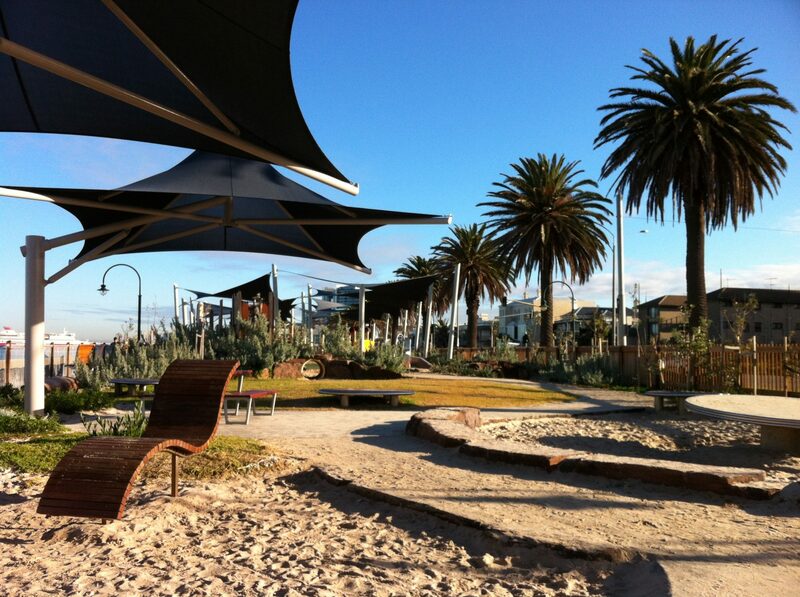 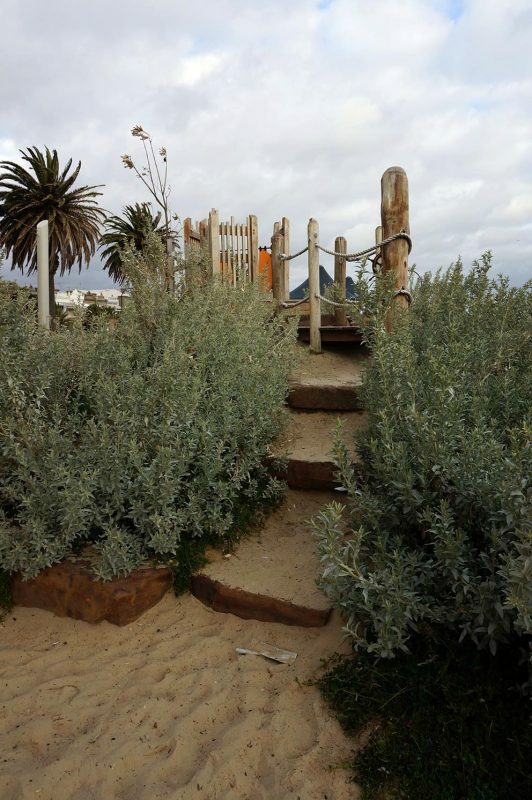 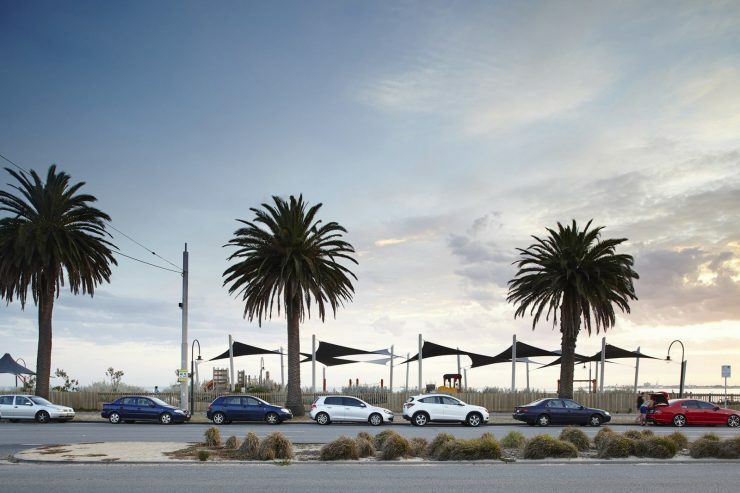 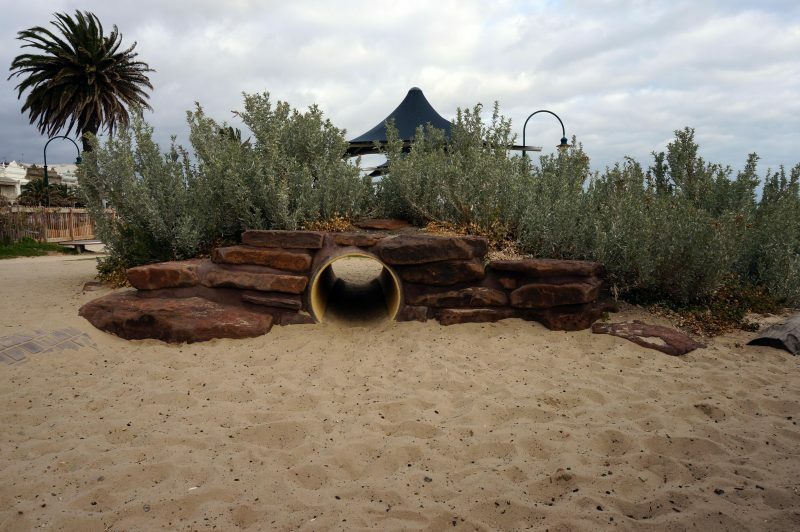 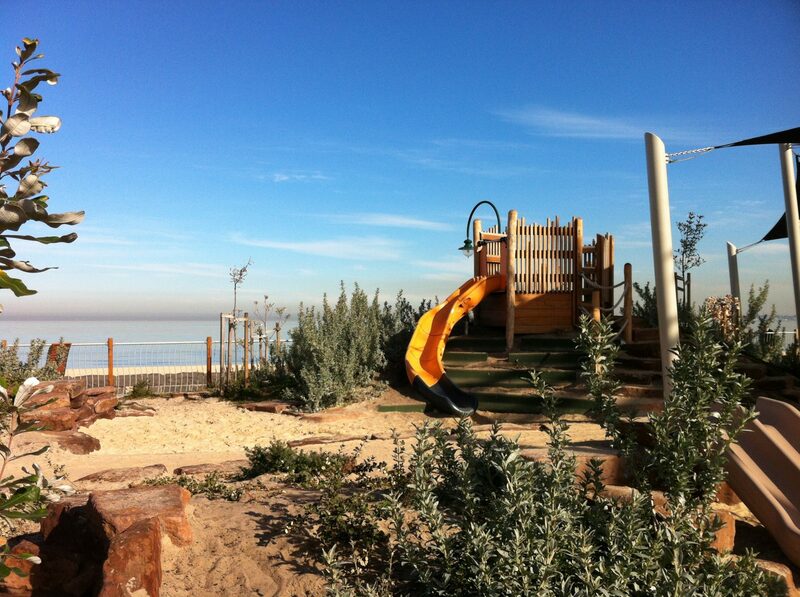 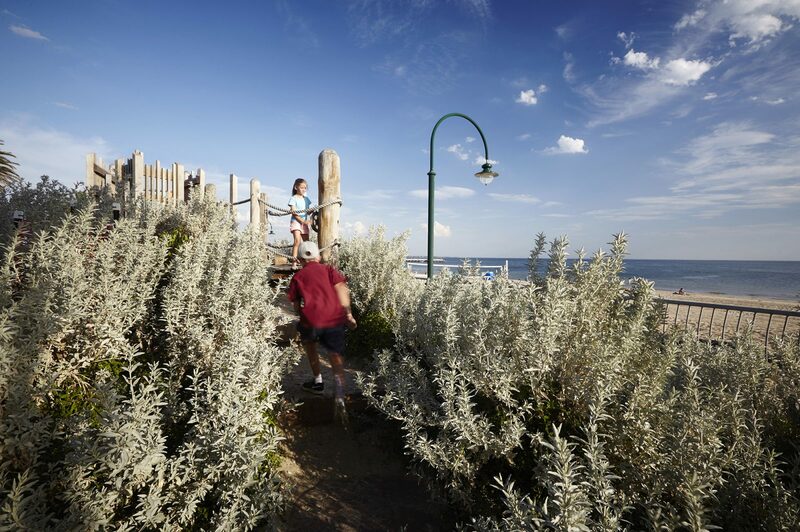 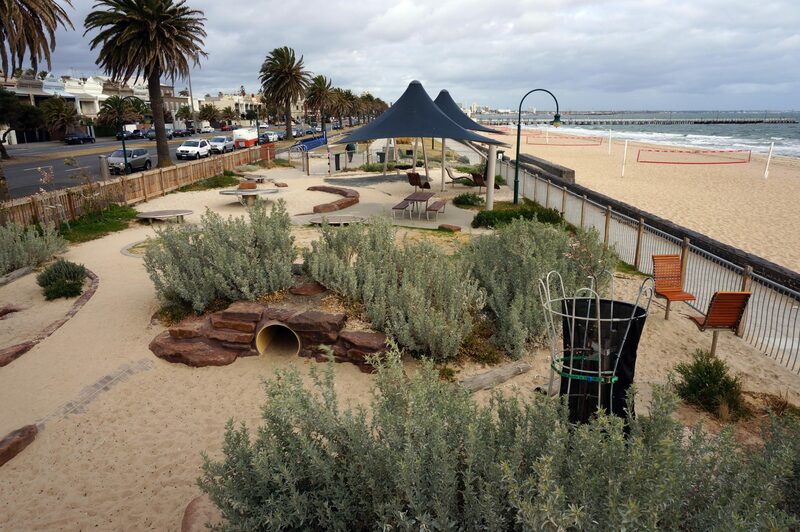 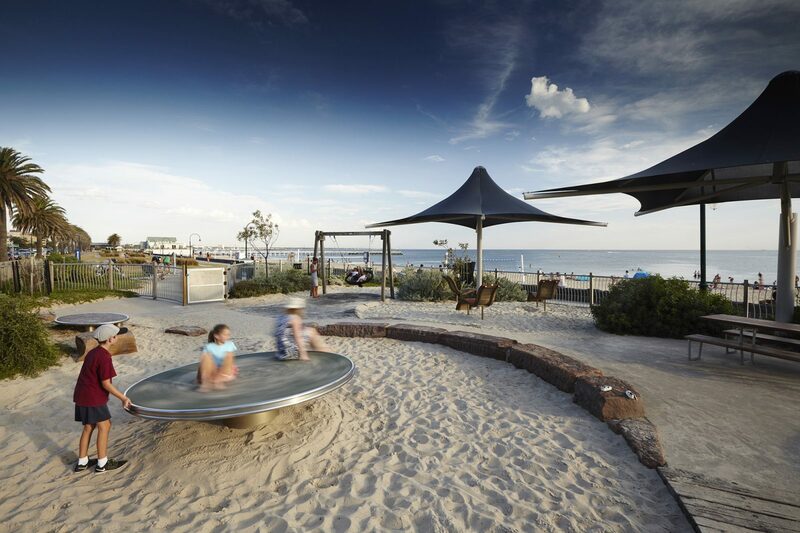 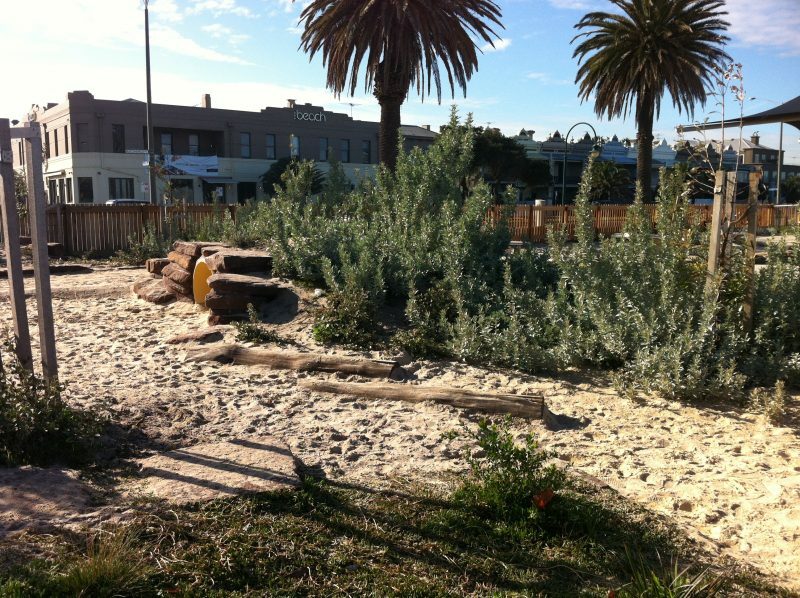 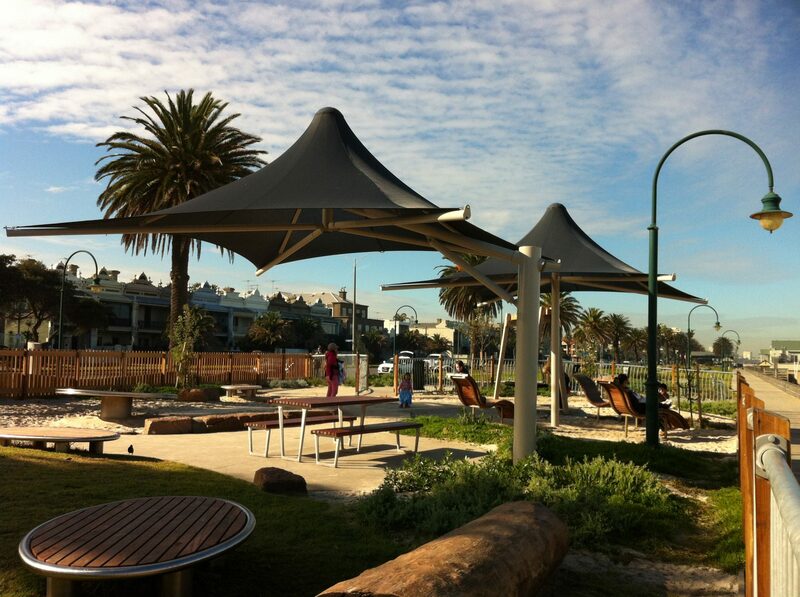 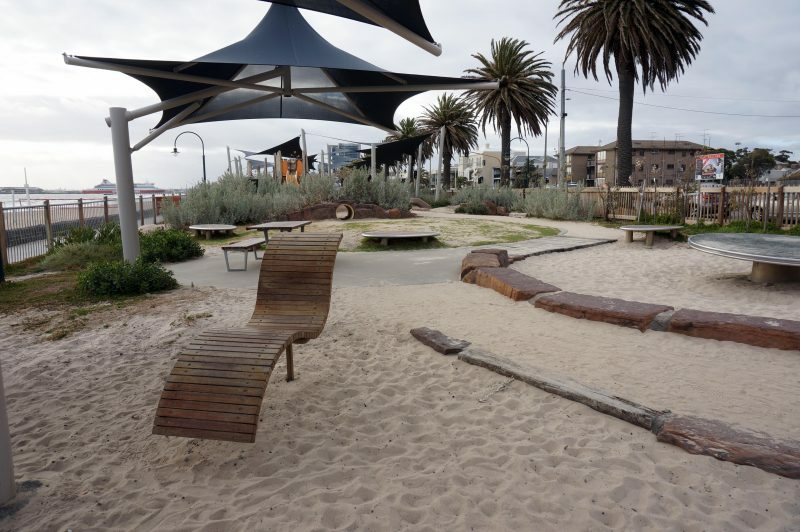 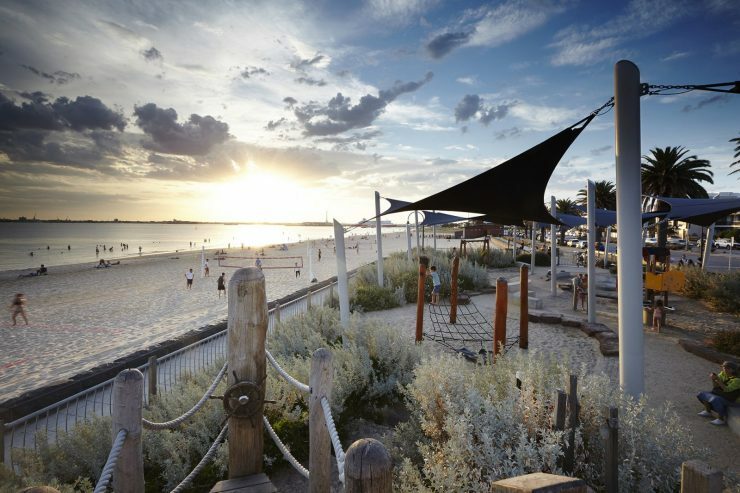 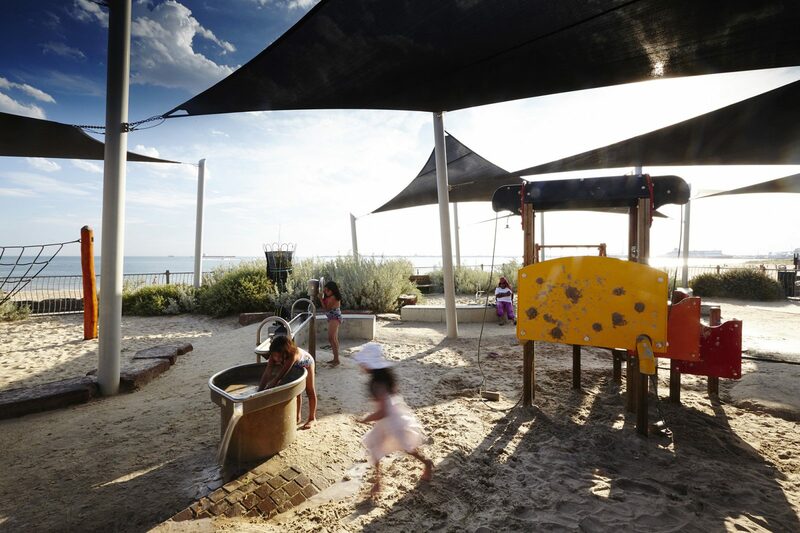 Plum Garland Memorial Playground is one of The City of Port Phillip’s most popular play spaces, located in a prominent location on the beach at Albert Park. 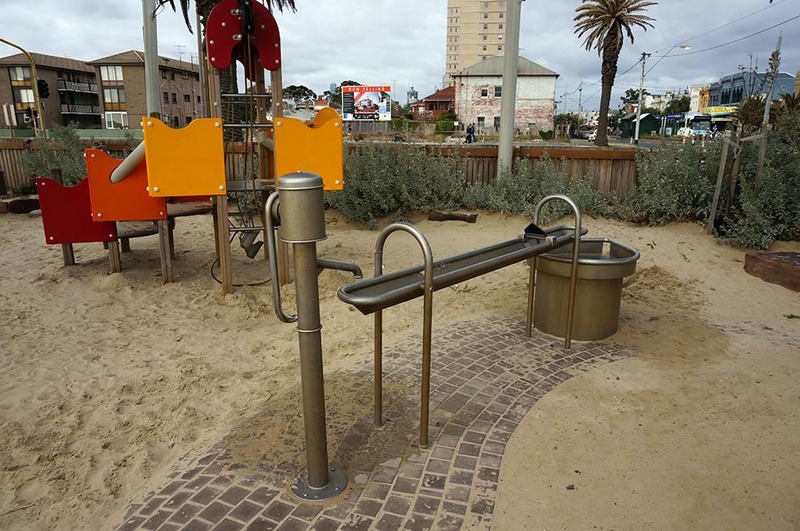 In order to avoid the more common references to boats as seen in playgrounds all along the coast, a new design theme was required. A unique aspect of this design is that it references and celebrates the habitat of some indigenous dune-dwelling fauna, especially the Rikali (a native mammal) and the Little Penguin, a resident of the St Kilda pier breakwater. 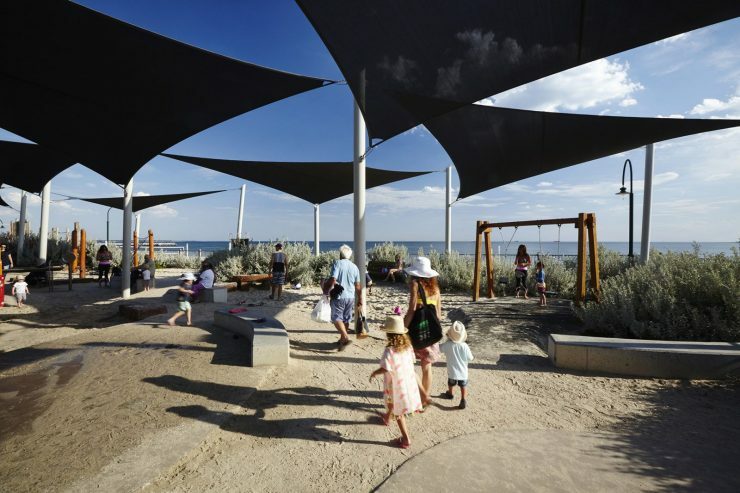 The design is a creative expression of the coastal dune and rocky outcrop habitat and children play amongst burrows, rocky climbs, in sand and in water. 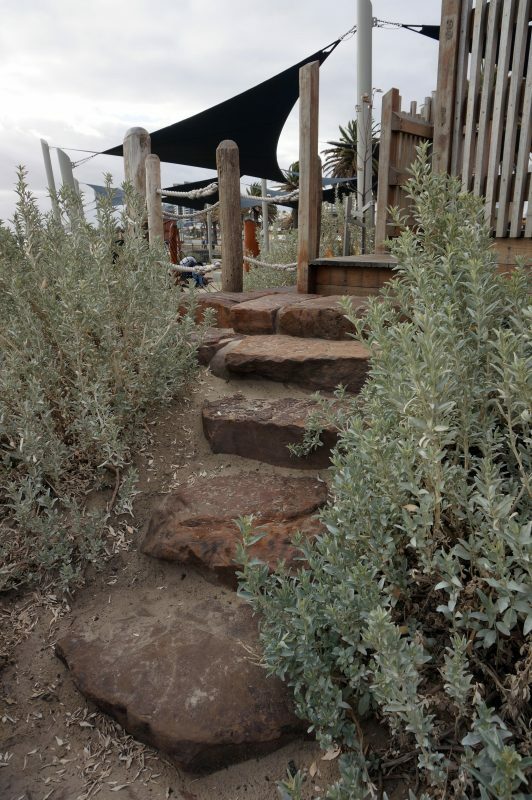 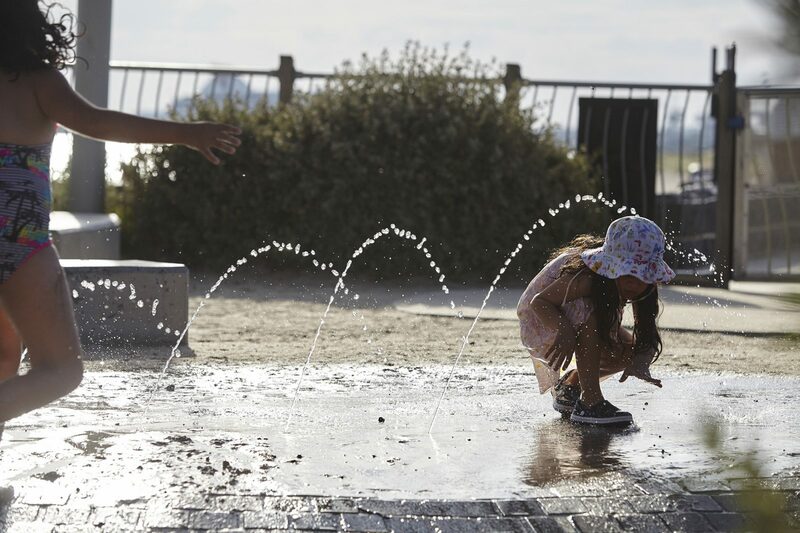 The natural environment sets the overall framework for the play setting, and sand, rocks, planting, weathered timber and steel are the predominant materials. 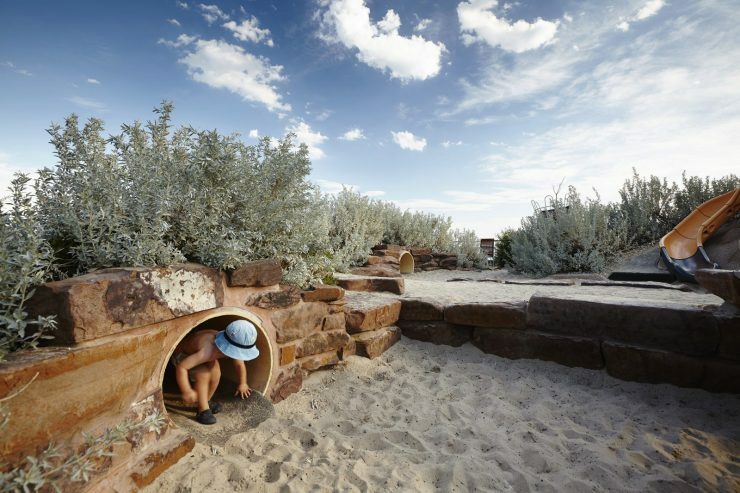 The design explicitly aims to provide for unstructured play in this natural setting as well as to provide for various types of physical movement. 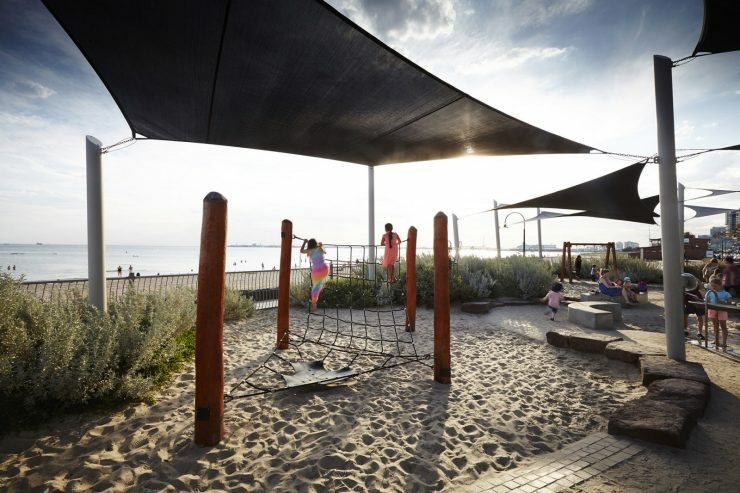 This unique setting accommodates a wide range of activity types, is accessible and inclusive for users of all abilities, supports and encourages social interaction, has a high degree of amenity, and is targeted to children from toddlers to teenagers, in a compact space along the foreshore. The design retains and enhances the viewing opportunities through providing seating, elevated landscape features and mounds that address the Bay and capitalise on the views.